With Spring and Summer Fashion Weeks presenting us with some of the interesting and captivating designs, the ongoing Fall collections have certainly influenced our style further by bringing us equally unique and appealing patterns. If you are looking for style inspiration that will dominate and determine the fashion this Fall 2017, we have the 10 best trends to watch out in the coming season. We all know in fashion, what goes around comes around and so is the case with the flared pants. 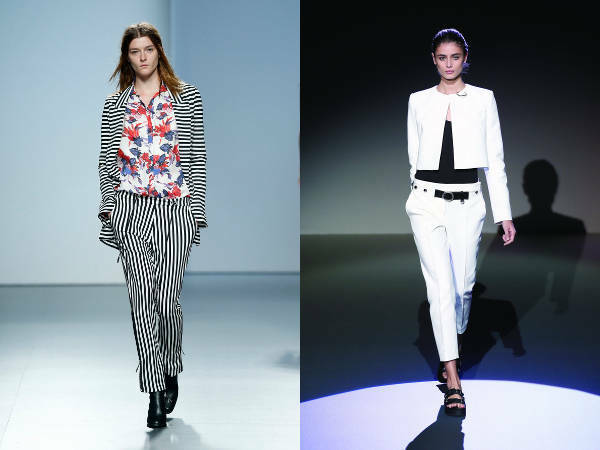 The flared pants and the wide legged bottoms have made a comeback and are looking all the better. While skinny cuts are not necessarily outdated but updating your wardrobe with a wide-legged pant is a wide and wise choice for the season. The timeless pantsuit has been in the spotlight even before Hillary Clinton made it widely popular. The professional ensemble was given just the right touch of playful this season by Karl Lagerfeld. 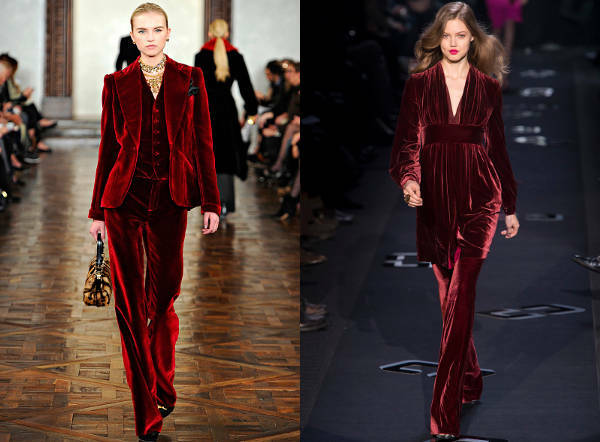 Whether you opt for looser silhouettes or softer fabrics like velvet, the pantsuit is definitely a must have for the season. Sheer is once again in the limelight and both Versace and Valentino have supported the material with floral embroidery and beading to provide the necessary cover-up. The lace trim, puffy sleeves, pleated skirt, all contribute to romantic silhouettes that render an innocent and delicate feel. Mid-calf dresses and skirts have started to become more prominent and a number of designers have begun to opt for a look that is less formal and more dressy. The georgette dresses this season strike a balance with semi-sheer translucency complemented with the Victorian flowy length. Also, tight and straight mid length silhouettes help to draw the attention to the waist. 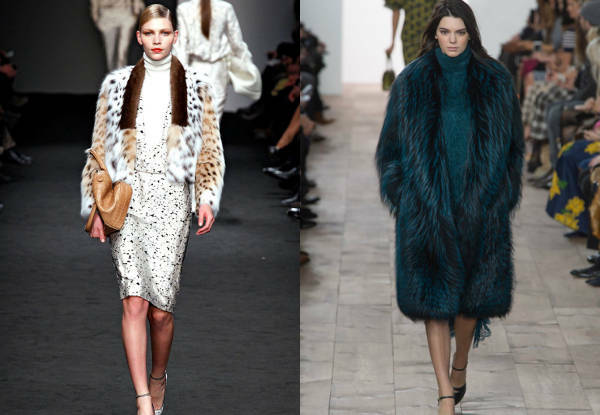 Fur in neutral and natural tones are transcending into more bold colours. Fendi and Chanel have epitomised the luxurious choice by opting for weaving, stripping, dyeing, embroidering and even mimicking fur with a modern texture. Layers are not just going to keep you warm but also add a sense of interest and flavour to the personality. Including layers is also one of the creative ways to experiment with the standard outfit and make the look unique and refreshing. 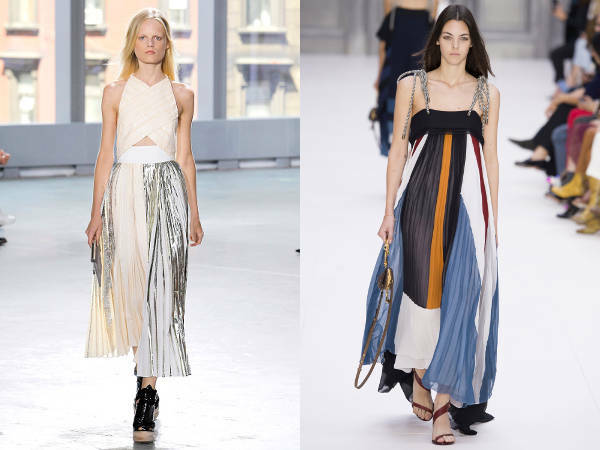 Pleats are making a solid comeback on both the tops and the bottoms. Alessandro Michele made the pleated midi skirt and lacy underwear combination so attractive that it would be a miss if not tried on this season. If we have to pick one fabric that has left a mark on all the spheres of design, it will definitely be velvet. It has an expressive texture that is soft to touch and beautiful to view. With the elegant shimmer, the material also has an ability to keep you warm, making the material a perfect choice for fall. While lace is quite popular, it does not compare to the look and repute of mesh that brings in the punk Goth aspect made extremely popular since the last year. Seen on turtlenecks or as a part of skirts on the dresses, the material is a fun way to add an edge to the panel. The metallic look is definitely on rage and it has been duly featured on skirts, dresses, tops, pants and almost everything appearing in silver, gold, copper and more. 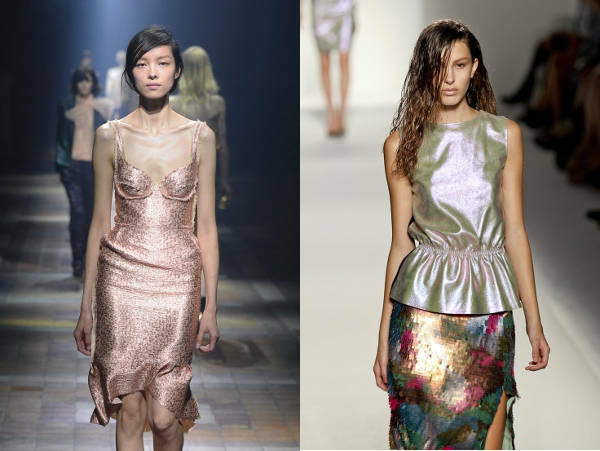 Lending an instant glamorous quality, the metallic glaze is one trend to opt this season. 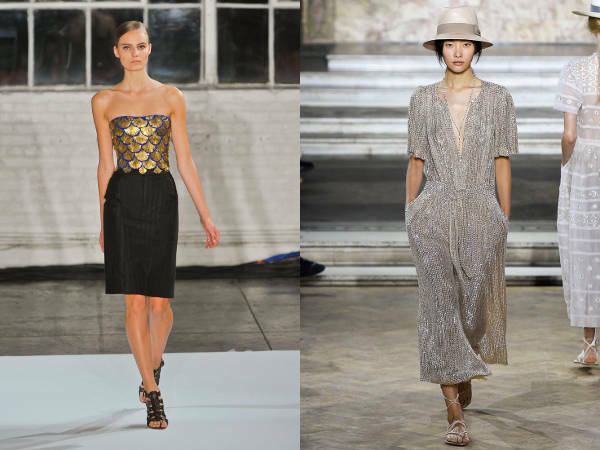 Take a look through the most prominent trends and give your Fall wardrobe an early upgrade.